The Controversial 5-Step System That Professional Traders Use To Unlock Trading Success! 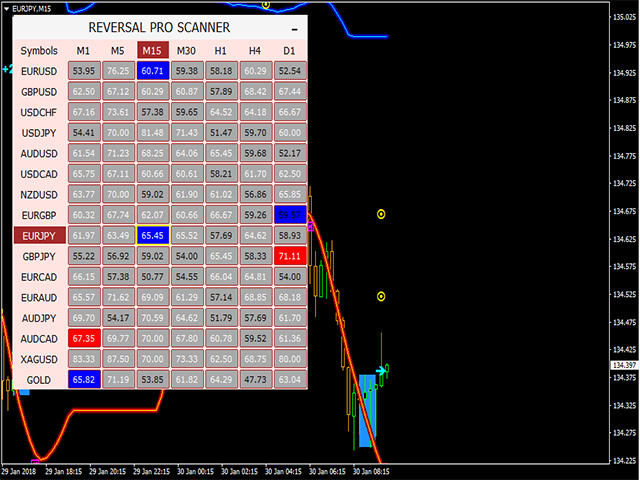 Reversal Pro effectively combines price action, ideal location and reliable statistics in one smart algorithm. Understanding the market in this unique perspective allows you to recognize reversals professionally. Copy & Paste what professional traders are doing right now! 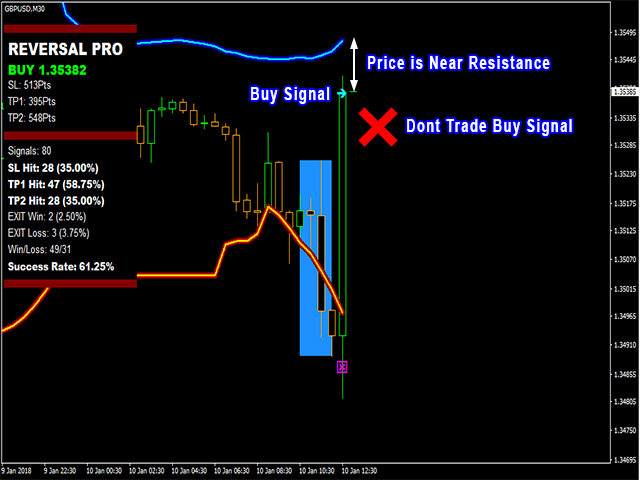 Gives entry signals, exit strategy, stop loss and take profit levels. Reliable statistics following the criteria above. 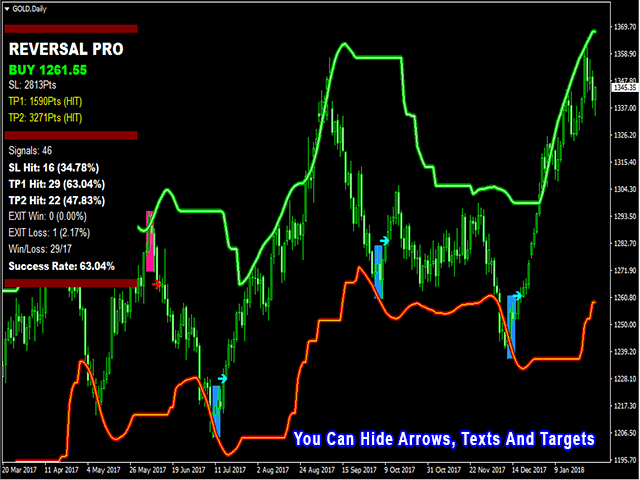 You can use the Stop loss calculated by the indicator. Option 3: Take profit on support/resistance levels. 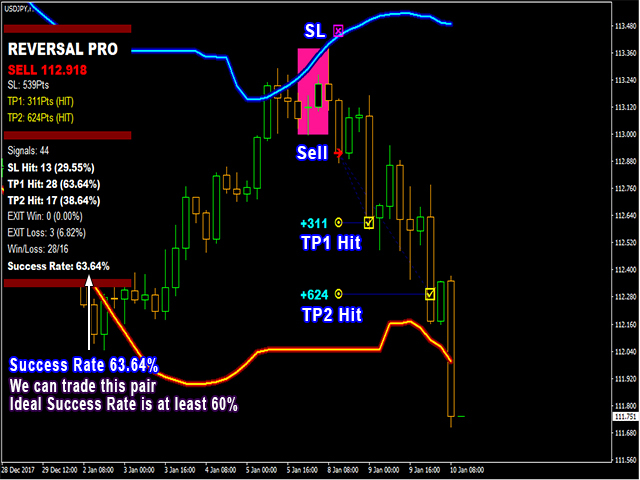 If SL or TP levels are not reached, exit trade on a new signal. 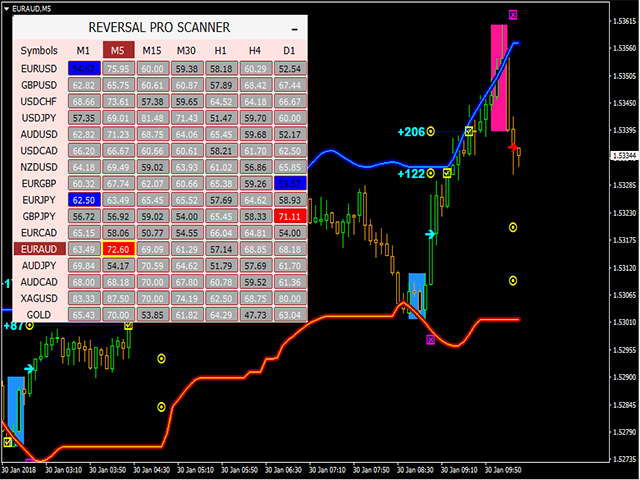 EXIT Win - when a trade is closed on an new signal and resulted to a positive profit. 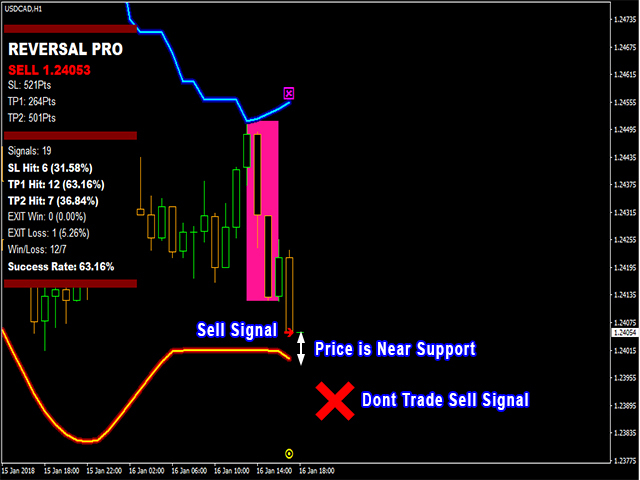 Exit Loss - when trade is closed on a new signal and resulted to a negative profit. Signal Period - the number of bars used to calculate the signal. 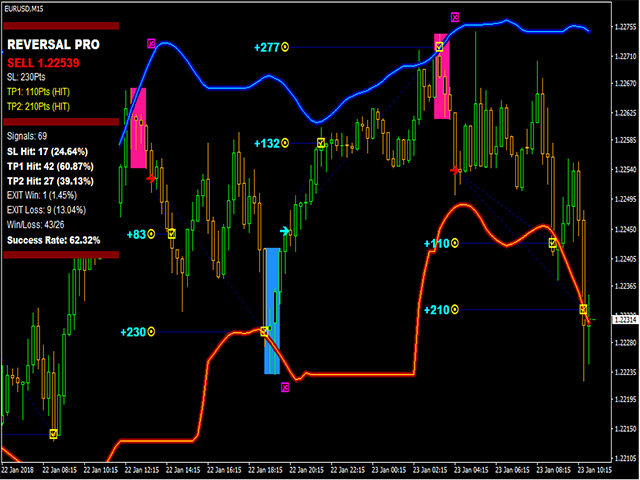 Zone Period - the number of bars used to calculate dynamic Support/Resistance Levels. Zone Deviation - the factor used to determine the distance of Support/Resistance Levels relative to price. Stop Loss Selection - the stop loss strategy applied. 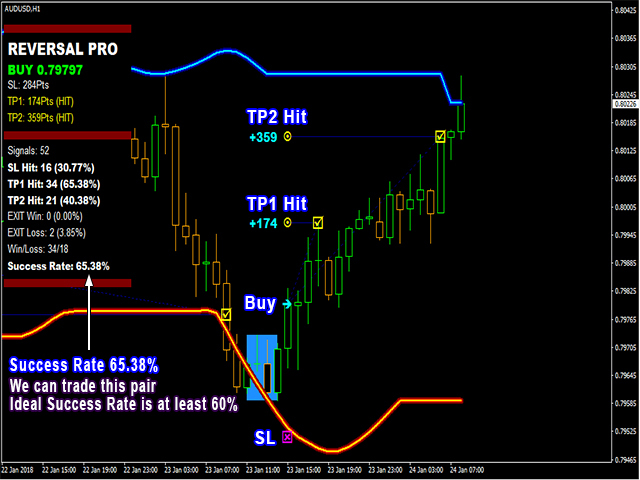 Take Profit Factor - the multiplier used to calculate take profit levels. Maximum History Bars - maximum number of bars used. Misc Parameters - controls the universal visibility of objects & buffers. Very impressive, using alongside the PipFinite which its self is very good when ya mess with the setting abit. Great product and easy to use - Thank you! Finally the Perfect reversal system. Much Needed Karlo. 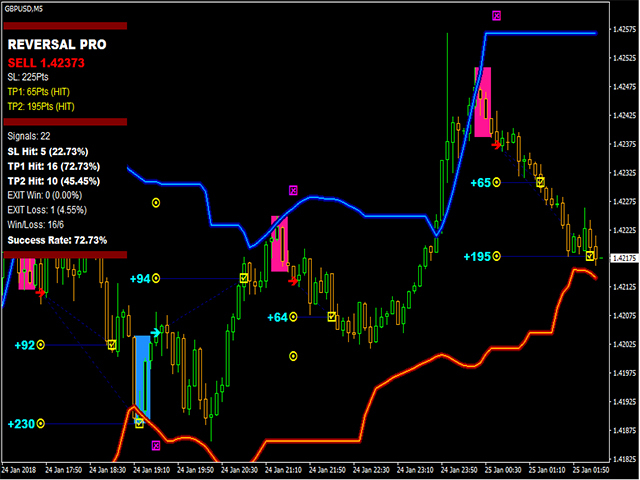 I took a large risk before having this indicator and drew my signal account down by 85% because of my impatience. 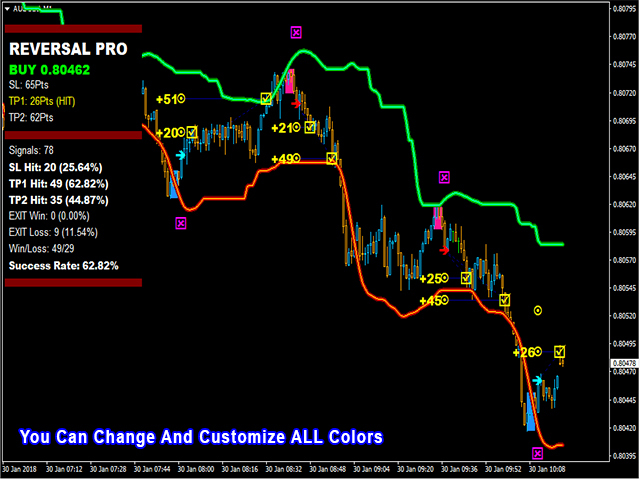 I am happy to report the gradual rebuild of my trading signal with the help of this reversal pro indicator! Improved internal function for targets.